AdWords is Google’s bread and butter. This is where the majority of its income comes from. The reason is simple: it works. AdWords brings in revenue for advertisers because Google is really good at serving relevant content to users all over the world. In order to take advantage of this massive advertising platform, you have to be able to write killer ads. There are some very big names competing for Google’s first page for popular search terms. If you don’t get an edge, you’ll be out of the game before you really ever get in it. Every copywriter steals headlines. Look on the cover of Cosmo. Then look at the cover of National Enquirer. The same headlines are used week after week, but they’re used by different writers. Spins, and variations on the same theme keep appearing in magazines on almost all of the news stands. The reason is because those types of headlines sell. Even conservative newspapers have to write compelling headlines or the paper won’t sell. You don’t have to reuse headlines word for word, but you should be using popular headlines that start with “How To,” “The Truth About,” “10 Ways To,” and “Writing Killer”. You don’t have much to say in an AdWords ad, so you better make it good. Use action words and phrases to motivate your audience. Read up about “active voice” versus “passive voice”. Use active voice in all of your ads. Active voice is direct, to-the-point, and action-oriented. “Stop Your Headaches Now,” or “Avoid Eating These 3 Fat-Inducing Foods,” are good examples of action-oriented sentences. It’s hard to teach your clients something in such a short space, but you can hint at teaching them something by using “how to” in your ad. “How To Get Off Yo-Yo Diets Forever and Still Lose Weight” would be an example of this. You don’t necessarily need to or want to promise a solution in your ad. While this can work, it can also take the mystery out of the ad. If there’s no mystery, then there’s no reason for people to click on your advertisements. 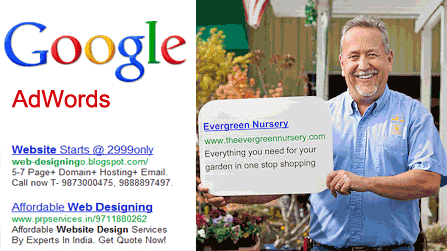 Some AdWords advertisers write ads that give away the price and the benefits right in the ad. This can be the kiss of death because the prospect can look over your ad thinking he isn’t a good fit for your product or service. While disclosing the price is a good way to weed out people with no money, it also weeds out people who might have money in the future or who don’t yet understand your product. You can’t tell users everything they need to know about your product in an AdWords ad. Something is going to be left out. What’s left out is often the granular details that induce people to buy. Instead of giving away the kit and kaboodle, give them a little mystery and invite them to learn more. People don’t like to risk anything on people they don’t know. Sometimes, people don’t like to risk anything on people they do know (as well). You must take away all of the perceived risk to increase the odds of your prospect clicking through to check out your offer. In fact, you might not want to offer anything for sale immediately. Say that right in the ad. If all you’re offering is a free newsletter, tell them that. “Free Newsletter” is an excellent way to end your ad because people know they won’t be pummeled with a sales pitch if they click on it. Do you have any more points or tips to add ? Peter Nevis writes on behalf of Orange Line. Peter contributes to various websites, he's a marketing expert and enjoys writing articles about SEO & online marketing strategies. In doing ads, your #5 tip is something that everyone must keep in mind. I agree that there are instances that even people we know are the ones who try to dupe us on buying something from them. This is the nice platform for prove yourself and if you will learn enough about this then without any doubt you can earn lots of money. I haven’t really tried using adwords but I heard it does great for a lot of people. The tips you said are helpful and hopefully I will be able to apply them when I use adwords.